Titanflex Industrial Supplies prides itself in having a combined industrial experience of 30 years under its belt in regards to hose/fluid and gas transfer solutions for a broad spectrum of industries, including machinery equipment, oil & gas, food & beverages, marine, semiconductor, steel, paper, petrochemical and chemical. 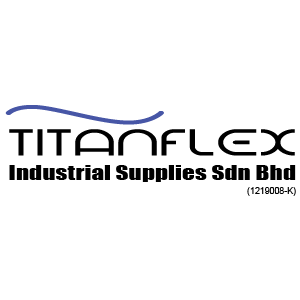 Titanflex Industrial Supplies Sdn Bhd added 5 files in Hydraulic Hoses. Titanflex Industrial Supplies Sdn Bhd added 4 files in Crimping Machines. Address: 26, Jalan TPK 2/5, Taman Perindustrian Kinrara, 47100 Puchong, Selangor, Malaysia.